Minimalist but ambitious puzzle game Dreii began life as a concept title released back in 2013, and this year the unique project returns as a multi-format title with a difference. The game’s premise is simple: three players must work together to build a tower in a physics simulation that focuses on co-operation. The game translates a selection of carefully chosen words and commands into 19 different languages so that gamers from all over the world can play together. game which unites people from all nations and throws physics-based puzzles at them,” explains lead game maker Mario von Rickenbach. 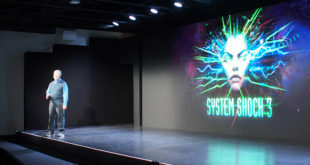 Von Rickenbach had already worked on a number of Unity projects before and was familiar with the technology’s workflow, so recommended the game engine to the development team. Another key factor was the tech’s cross-platform compatibility, enabling Etter to use the same code and assets for different platforms. 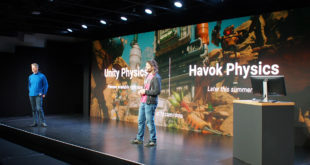 Given the nature of the puzzle game, Unity’s integrated physics engine was instrumental for the development of a game like Dreii, but there were also other elements that von Rickenbach says were also invaluable when developing the title. such a feat like this was easier than you might think. “Technically, there are no problems to do this,” he explains. “For some reason, the platform holders are not always happy with it. Sony and Nintendo allowed us to let people play with each other, but Microsoft did not. The finishing touches are still being added to Dreii before its release this autumn, and the Etter team encourage other Unity developers to explore unique and innovative concepts as they have with their upcoming project. But von Rickenbach adds a caveat to those dreaming of making quick money with the engine: the advantages afforded by this toolset are not enough to guarantee success. He says: “Just because software is easy to use doesn’t mean it’s easy to make a good game."